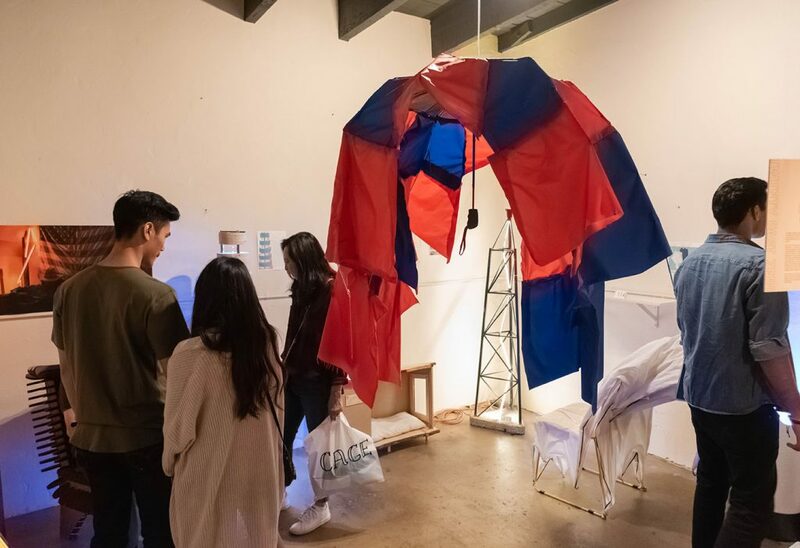 From an empty keg turned into a cycle-powered washing machine to an old Mustang News newsstand converted into a lightbox, the work of architecture students radiated creativity at Cal Poly’s 15th annual Vellum Furniture Competition and Exhibition. Downtown San Luis Obispo held a space for architecture students to showcase their designs for the annual competition Nov. 2-3. With warm weather and a clear blue sky, the event took place both inside and outside a studio on Monterey Street in Downtown San Luis Obispo. Each participant in the competition, all of whom are Cal Poly architecture students, is encouraged to create an original furniture design to showcase their craft. 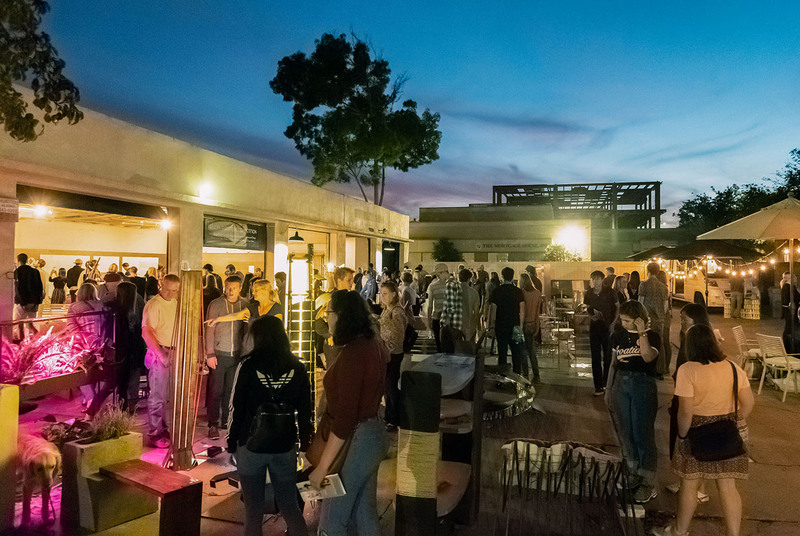 For the past 15 years, the College of Architecture and Environmental Design (CAED) has teamed up with Vellum Design Build — a San Luis Obispo design-and-build firm founded by Cal Poly architecture graduate Paul Abbott — to co-host the exhibition. Vellum Design Build and the CAED first began the Vellum Furniture Competition back in 2004. Now held every fall quarter, Vellum is an annual public reception for artists to showcase their skills and compete amongst other students of the college. Students are asked to construct projects that range from tables and chairs to light fixtures, toys and other furniture. This year architecture senior Granite Landis created a mid-1950’s inspired record player composed of stone. With no experience building a record player, Landis was up for the challenge and excited for its creation. Architecture senior Mitch Rincon also designed a music-inspired piece, building an electric guitar with an aesthetic redwood body, maple neck and rosewood fretboard. Rincon said he was inspired to create the guitar by his lifelong love of music. Rincon also said many of the student artists’ creations in the exhibition pertain to their senior thesis. “It bridges the gap between what a lot of students have done in the past four years with their senior project,” Rincon said. The event continues to offer great experience for emerging designers. While being exposed to the industry and competing in the field, artists undergo a true Learn by Doing experience. Tom Di Santo, a professor in the Cal Poly architecture department, also highlighted the exhibit’s advantageous Learn-by-Doing aspect. By working within real design timelines and budgets, Di Santo said students are able to get a feel for the architectural industry and experience what many will encounter after graduation. Di Santo said he was pleased with the turnout and success of the event. He has helped run the Vellum Furniture Competition since its initiation. Many of his students also competed in the exhibition. “My favorite part about it is that it brings the community together,” Di Santo said. 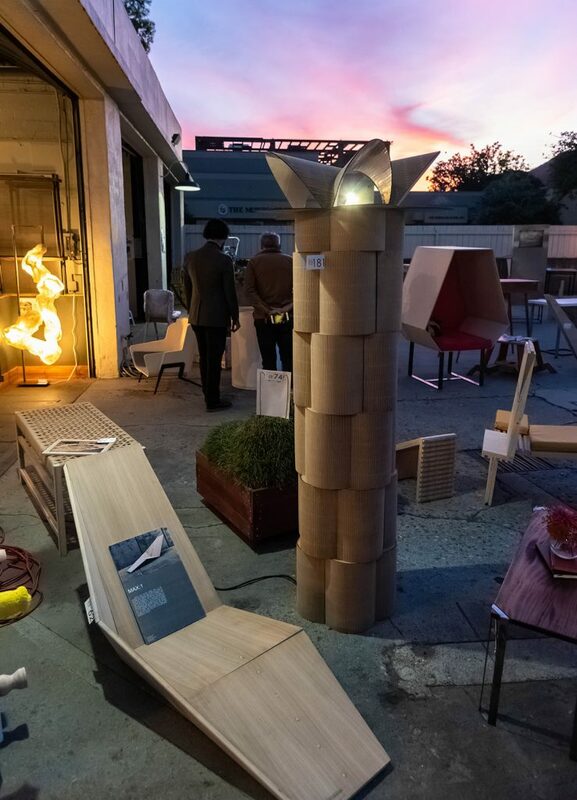 As a well-known, annual event — and because it fell on San Luis Obispo’s monthly “Art After Dark” event this year — the 15th annual Vellum Furniture Competition brought the San Luis Obispo community together. Students were able to inspire, inform and entertain locals, visitors, students and others of all kinds with their art. Thanks to its artists and supporters, the 15th Vellum Furniture Competition was yet again a public success. Who knows what next year’s artists will bring to the table.